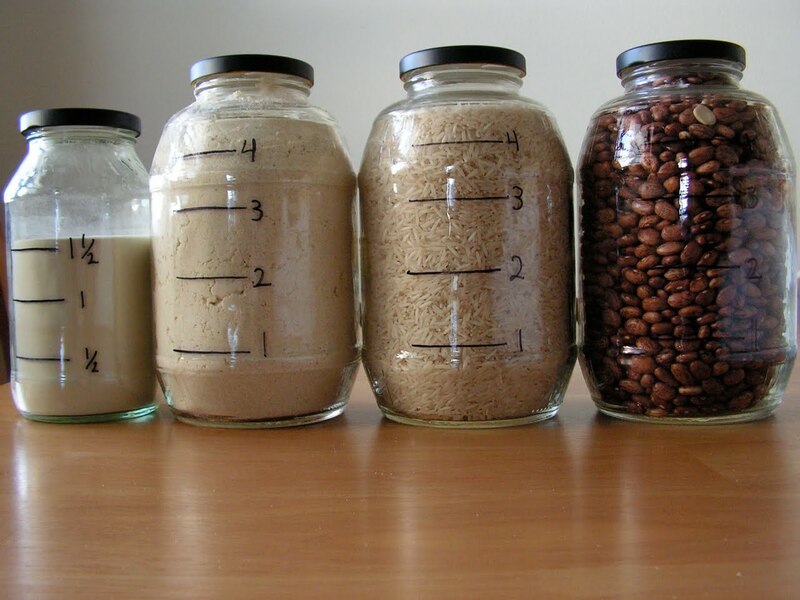 jars are great for storing dried food items, especially the ones bought in bulk. around here 2 of the 5 of us are gluten-free, so this method works great for gluten-free flours. 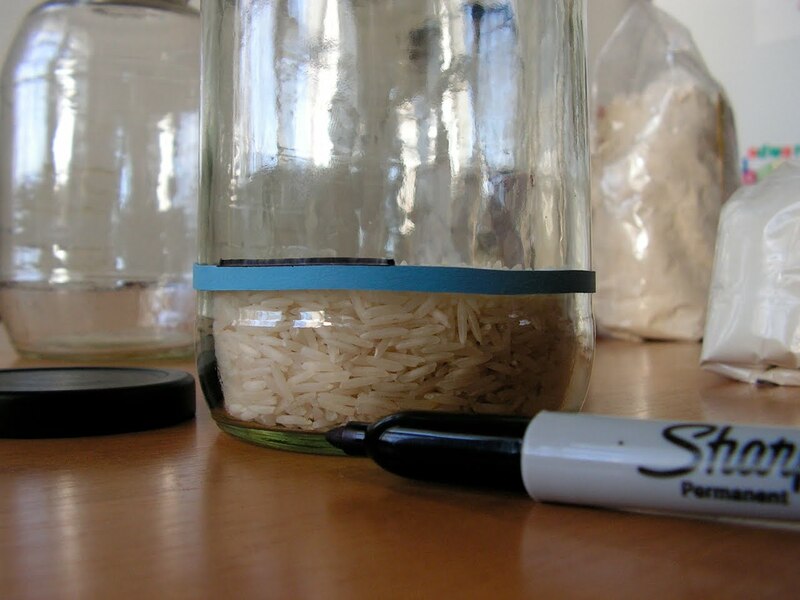 having the jars labeled with measurements gives you an idea of how much ingredient is left in the jar. for labeling with chalkboard painted lids, see day 5. 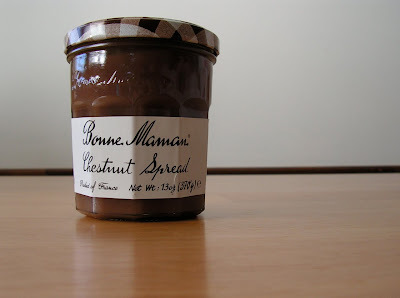 Bonne Maman chestnut spread - gotta love the brown gingham lid ! see you tomorrow for day 14 ! the graduations are such a brilliant idea ! 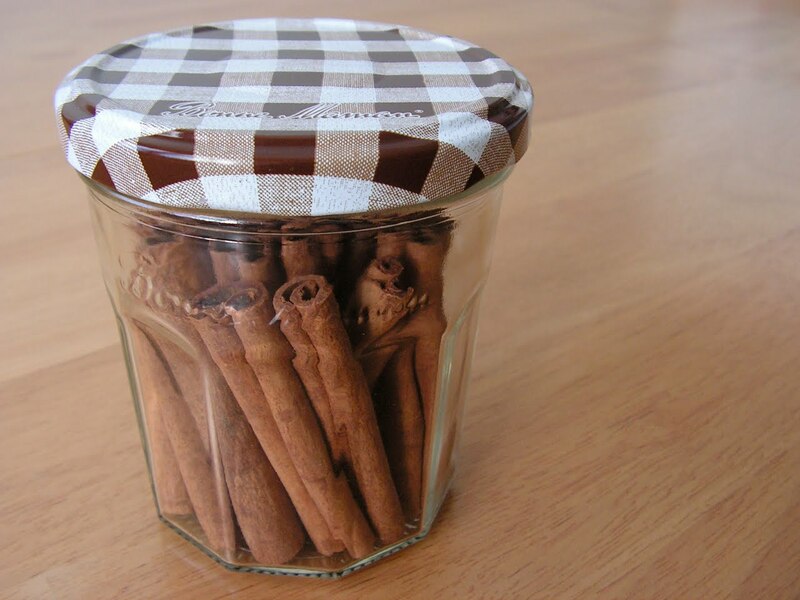 I love the chesnut spread ! I tried one to make some myself : it was extremely good but it takes too much time to make ! What color of bonne maman lids can you find over there ? all of them ?